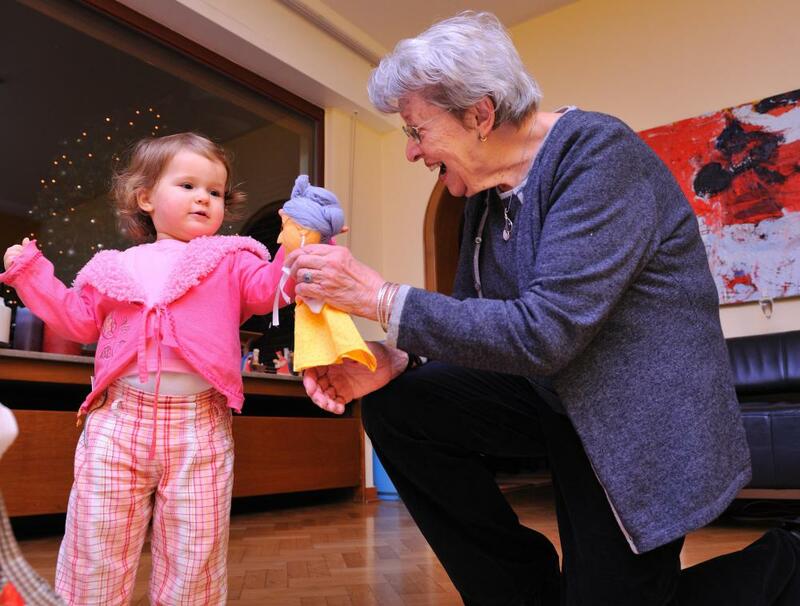 Playing with children may help lift the spirits of an elderly person suffering from depression. 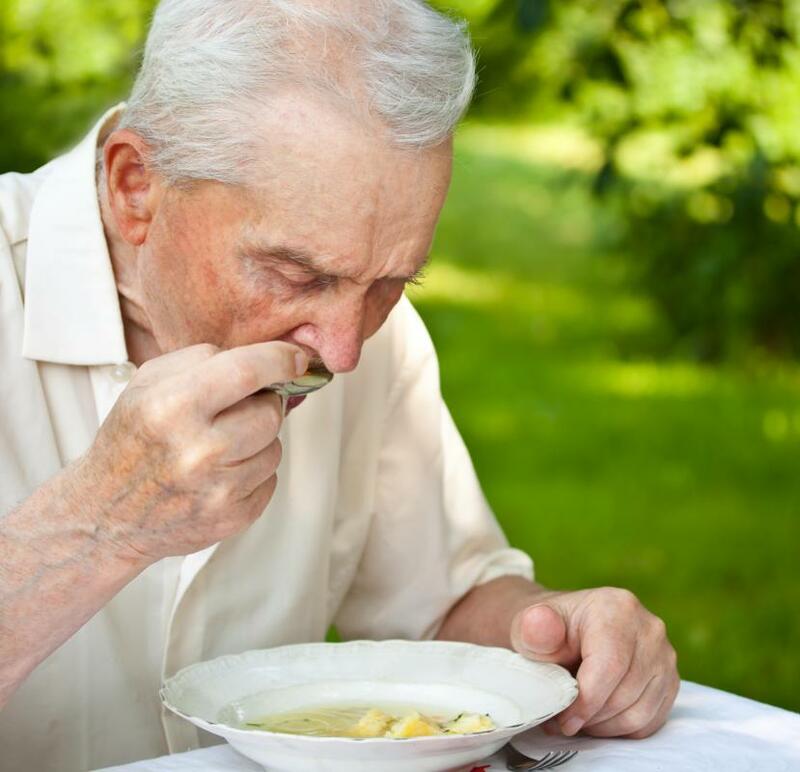 Elderly people who suffer from depression and live alone may never be diagnosed. The Geriatric Depression Scale is commonly used in nursing facilities to guage whether a patient is clinically depressed. The Geriatric Depression Scale indicated that 5,000,000 elderly Americans were depressed in 2007. The Geriatric Depression Scale (GDS) is a common tool in nursing facilities to gauge whether a patient is clinically depressed. Most of the other standard depression tests use a graduated system of responding to statements, choosing from among four or more nuanced responses for each statement. The GDS, by contrast, is a simple list of questions that are answered with a "yes" or a "no," and is available in a short and a long format. Created by J.A. Yesavage in 1983, the Geriatric Depression Scale was first studied with Chinese elderly, then adopted for use in the United States and on several other continents. A 1986 report on the Geriatric Depression Scale in The Journal of Aging and Mental Health found that the survey was just as effective as other accepted tests like the Hamilton Rating Scale for Depression and the Depression Adjective Checklist for determining depression. The Hartford Institute for Geriatric Nursing (HIGN) estimated in 2007 that about 5,000,000 elderly Americans were clinically depressed, which is about one in six who were 65 and older. The percentage of those depressed increases dramatically once acute care is needed, too. According to the HIGN, nearly half of all nursing home patients — 42 percent — display the symptoms and mindset of depression. With age and impairment comes cognitive hurdles; hearing and comprehension are not what they used to be. The Geriatric Depression Scale counters this reality with easy-to-understand and answer questions. There is no gradations of feelings, which can vary from day to day and even hour to hour. Patients merely answer "yes" or "no," and a point is tabulated each time a certain question is answered with a certain response. A short and long form of the test are readily available; the long form has 30 questions, and the short form has just 10 questions. The answer key is simple to understand for scoring purposes. A normal level of depression would score a nine or below for the long-form test. Mild depression is indicated by a score between 10 and 19, with severe depression indicated by a score between 20 and 30. The short form score is just as easy to categorize. Questions on the GDS are blunt, getting to the heart of the matter. The very first question, on both the short and long form is, "Are you basically satisfied with your life?" The others are characteristically pointed too, with inquiries like: "Do you often feel helpless?" "Do you frequently feel like crying?" "Is your mind as clear as it used to be?" "Do you worry a lot about the past?" These types of questions are easy for even the aged or disoriented to understand. What Is the FLACC Scale? What Is the Connection between Depression and Cognitive Impairment? 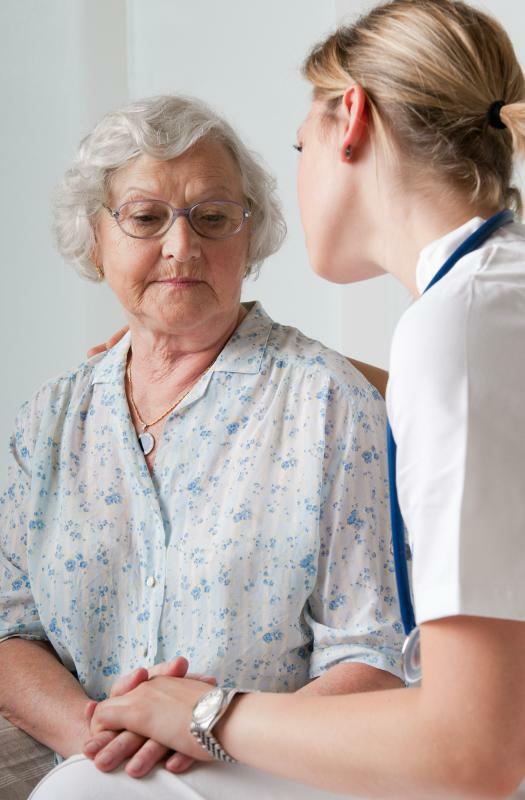 What Are the Different Types of Geriatric Assessments? Has anyone else taken the GDS test? I took it and it was great, a good way to see where you stand. To be honest, I was surprised how high my score was. I am not severely depressed according to the scale, but I realized I should make some changes in my life and change my perspective on many issues. I spend too much time reliving and altering the past in my mind. I recommend the test, even though my score was not what I expected or would have hoped for. Drentel, I don't find the number of elderly people with depression symptoms surprising. Think about all the changes confronting people as they age. Many senior citizens have gone from providing for a family, comprised of a spouse and kids, to coming to terms with retirement, not having children around them every day and losing parents, siblings and spouses. Add these life changes to illness and attrition of health and the picture becomes clearer. Growing older can be fun and rewarding, but the process can also be scary and limiting. All the changes can be overwhelming and, yes, depressing. Was anyone else floored by the number of older people being diagnosed with depression? That is a large number of people for any age group or social group for that matter.